The lens mount of the Leica M 35mm rangefinder camera was introduced in 1954 with the Leica M3, together with a range of lenses. 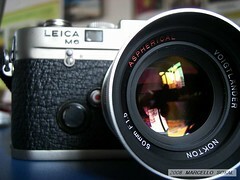 It has been on all the Leica M series up to the current Leica M7 and M9. This lens mount has also been used by Minolta on the Minolta CLE rangefinder camera, by Konica on the Hexar RF, by Voigtländer (Cosina) on the late models of the Bessa range, by Rollei on the Rollei 35 RF (practically a Bessa under Rollei's name), and very recently by Zeiss Ikon on the latest Zeiss Ikon rangefinder camera. 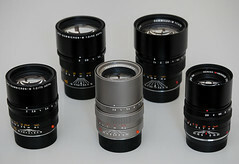 See this informative post at a Leica forum. See this post at www.dvdtechcameras.com. 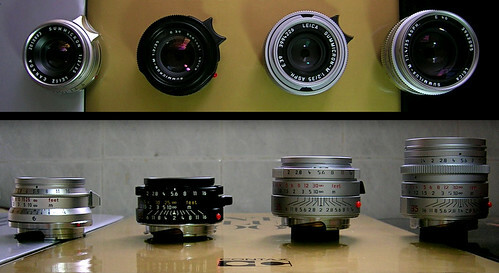 Other Cosina Voigtländer lenses include screwmount that fit the later Bessa bodies with an adapter. Rollei also announced at one point that they were going to release a 28mm lens and a 50mm lens, but lost interest in the 35RF (really a Cosina Bessa R2) system. 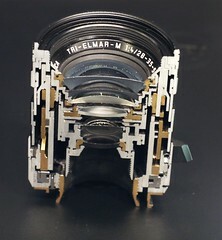 The lens barrels and mechanical workings were manufactured by Cosina and Rollei supplied the elements. It is not known if final assembly was in Germany by Rollei or in Japan by Cosina. ↑ Cameraquest article about the 40/1.4. This page was last edited on 8 May 2015, at 11:04.